North Korea stole blueprints of missile-equipped ships and unspecified submarines in a heist last year of classified documents from the world’s biggest shipbuilder. About 60 classified military documents were among the 40,000 hacked from South Korea’s Daewoo Shipbuilding and Marine Engineering Co in April 2016. They included information on construction technology, blueprints, weapons systems and evaluations of the ships and submarines. South Korea’s Aegis-equipped ships and submarines are key to plans for a preemptive strike against North Korea should it send a submarine equipped with ballistic missiles to target key facilities in the South. The attacks on the Bangladesh Central Bank, additional banks around the world, and the WannaCry ransomware campaign represent a new phase in North Korean cyber operations, one that mirrors the phases of violence and criminality North Korea has passed through over the past 50 years. Unlike its weapons tests, which have led to international sanctions, the North’s cyberstrikes have faced almost no pushback or punishment, even as the regime is already using its hacking capabilities for actual attacks against its adversaries in the West. Soon the digital bank heists began — an attack in the Philippines in October 2015; then the Tien Phong Bank in Vietnam at the end of the same year; and then the Bangladesh Central Bank. Researchers at Symantec said it was the first time a state had used a cyberattack not for espionage or war, but to finance the country’s operations. Now, the attacks are increasingly cunning. Security experts noticed in February that the website of Poland’s financial regulator was unintentionally infecting visitors with malware. It turned out that visitors to the Polish regulator’s website — employees from Polish banks, from the central banks of Brazil, Chile, Estonia, Mexico, Venezuela, and even from prominent Western banks like Bank of America — had been targeted with a so-called watering hole attack, in which North Korean hackers waited for their victims to visit the site, then installed malware in their machines. Forensics showed that the hackers had put together a list of internet addresses from 103 organizations, most of them banks, and designed their malware to specifically infect visitors from those banks, in what researchers said appeared to be an effort to move around stolen currency. Bangladesh Central Bank. In early 2016, a new pattern of activity began to emerge in an unusual operation against the Bangladesh Central Bank. Actors obtained the legitimate Bangladesh Central Bank credentials for the SWIFT interbank messaging system and used them to attempt to transfer $951 million of the bank’s funds to accounts around the world. A few simple errors by the actors about a withdrawal request that had misspelled “foundation” as “fandation.” (and some pure luck) allowed central bankers to prevent the transfer of or recover most of the funds, but the attackers ended up getting away with nearly $81 million. The National Security Agency (NSA) has attributed this attack on the Bangladesh Central Bank to the North Korean state, however, the investigation within the U.S. government is still ongoing. Threat analysts from numerous companies have attributed this attack and subsequent attacks on banks around the world through early 2017 to the Lazarus Group (which DHS, FBI, and NSA have all linked to the North Korean government over the past three days). RANSOMWARE. The most widespread hack was WannaCry, a global ransomware attack that used a program that cripples a computer and demands a ransom payment in exchange for unlocking the computer, or its data. The hackers based the attack on a secret tool, called “Eternal Blue,” stolen from the National Security Agency. In the late afternoon of May 12, panicked phone calls flooded in from around Britain and the world. The computer systems of several major British hospital systems were shut down, forcing diversions of ambulances and the deferral of nonemergency surgeries. Banks and transportation systems across dozens of countries were affected. Then only sheer luck enabled a 22-year-old British hacker to defuse,the ransomware attack It ended thanks to Marcus Hutchins, a college dropout and self-taught hacker living with his parents in the southwest of England. He spotted a web address somewhere in the software and, on a lark, paid $10.69 to register it as a domain name. The activation of the domain name turned out to act as a kill switch causing the malware to stop spreading. According to a Washington Post report published on June 14, the NSA has compiled an intelligence assessment on the WannaCry campaign and has attributed the creation of the WannaCry worm to “cyber actors sponsored by” the RGB. This assessment, ascribed the April campaign as an “attempt to raise revenue for the regime.” British officials privately acknowledge that they know North Korea perpetrated the attack, but the government has taken no retaliatory action, uncertain what they can do. It is assessed that use of ransomware to raise funds for the state would fall under both North Korea’s asymmetric military strategy and ”self-financing” policy, and be within the broad operational remit of their intelligence services. BITCOIN. North Korea is drenched in chronic economic problems, due to a one-sided focus on military spending and decades of economic sanctions from the international community. Under the U.N. sanctions imposed in August, China has banned imports on North Korea's iron, coal and seafood, which accounts for about 35 percent of North Korea's trading income. North Korea may be "mining" bitcoin as a way to get around the tighter sanctions. It also helps that bitcoin is an open and decentralized network, making "mining" a legal and relatively easy activity for anyone who has access to the internet. Ultimately, it's up to the international community and the bitcoin community to decide whether they're comfortable trading bitcoin with North Korea. Recently, North Korean hackers’ fingerprints showed up in a series of attempted attacks on so-called cryptocurrency exchanges in South Korea, and were successful in at least one case, according to researchers at FireEye. The attacks on Bitcoin exchanges, which see hundreds of millions of dollars worth of Bitcoin exchanged a day, offered Pyongyang a potentially very lucrative source of new funds. Researchers say, there is evidence they have been exchanging Bitcoin gathered from their heists for Monero, a highly anonymous version of cryptocurrency that is far harder for global authorities to trace. Any North Korean activity in bitcoin is likely a tiny fraction of global trade activity. The total trade volume of bitcoin was nearly $2 billion, according to CryptoCurrency Market Capitalizations. Bitcoin in itself is not criminal by any means; it's not a suspect activity. But the timing of that activity was an interesting correlation with the WannaCry [cyber]attack," The "mining" started five days after the cyberattack, which locked tens of thousands of computer and data files for ransom payments in bitcoin. The attack has also been attributed to North Korea by the U.S. National Security Agency. "Mining" is a process of earning bitcoins. Miners use high-performance computers to solve complex mathematical problems and verify bitcoin transactions online. In return they are rewarded with bitcoins. But who would be capable of pulling off such activity in the autocratic country? After all, most North Koreans have no access to the internet. Only a small minority of users — university students, scientists and select government officials — have access to Kwangmyong, a domestic intranet "that offers email and websites but is totally shut off from the rest of the world," according to a Slate article. "Only the most senior leaders and ruling elite are granted access to worldwide internet directly North Korean elites access internet primarily through three IP ranges, one of which is assigned by China Netcom. CASH. Once North Korea counterfeited crude $100 bills to try to generate hard cash. Now intelligence officials estimate that North Korea reaps hundreds of millions of dollars a year from ransomware, digital bank heists, online video game cracking, and more recently, hacks of South Korean Bitcoin exchanges. One former British intelligence chief estimates the take from its cyber heists may bring the North as much as $1 billion a year, or a third of the value of the nation’s exports. This alert marked the first time the U.S. government linked threat actor groups and malware long-suspected to be utilized by North Korean state-sponsored actors with the with North Korean government itself. DHS and FBI explicitly identified two threat actor groups, Lazarus Group and Guardians of Peace, and three tools, Destover, Wild Positron/Duuzer, and Hangman, as used by the North Korean government. While the FBI and DHS identified many indicators of compromise, Yara rules, and network signatures, the report did not provide any evidence supporting the attribution to the North Korean government or details on which organization or unit might be responsible. A recent analysis by the cyber security firm Recorded Future found heavy North Korean internet activity in India, Malaysia, New Zealand, Nepal, Kenya, Mozambique, and Indonesia. In some cases, like that of New Zealand, North Korean hackers were simply routing their attacks through the country’s computers from abroad. In others, researchers believe they are now physically stationed in countries like India, where nearly one-fifth of Pyongyang’s cyberattacks now originate. The North Koreans are getting the hang of “cyber operations”. They’re not as skilled yet as the Chinese and the Russians (not to mention the Americans), but they’re making real progress. Who thought that a country with only about 1,000 internet addresses could inflict serious damage on a nuclear-tipped superpower would have been regarded as preposterous, nobody in Washington (or London) is laughing any longer. South Korean media assesses that there may be as many as 4 million mobile devices in North Korea. So while mobile devices are widespread in North Korea, the vast majority of North Koreans do not have access to the internet. Mobile devices sold to ordinary North Koreans are enabled with minimal 3G services, including voice, text messaging, and picture/video messaging, and are restricted to operating only on North Korea’s domestic provider network, Koryolink. 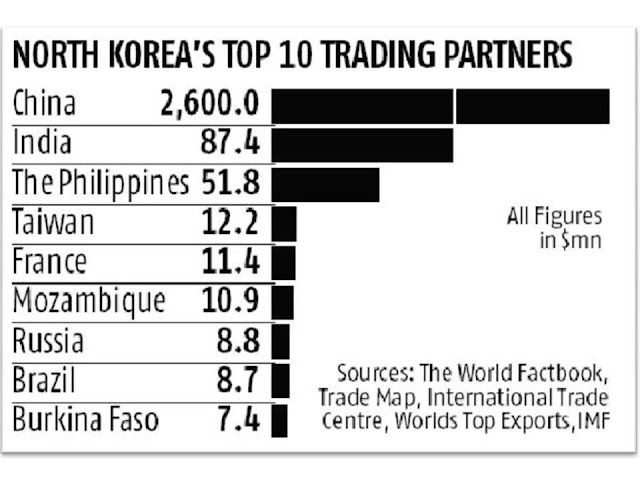 India has been second largest trading partner of North Korea after China As per the Directorate General of Foreign Trade, India’s export to North Korea was $76.52 million and import stood at $132.53 million in 2014-15. While India largely exported oilmeals, cotton yarn and machinery, Pyongyang exported iron and steel. From $209.05 million, the bilateral came down $130.38 million in 2016-17. India has been under pressure from USA to cut off all relations with North Korea. India has obliged halting all trade, except for food and medicine. However, India’s embassy in Pyongyang with two diplomats will continue to function. The USA has its own way of putting pressure. In a stunning report from the New York Times claimed that India serves as a base for North Korea's cyber warfare. Citing a report by the Recorded Future, the American publication said nearly a fifth of the Pyongang's attacks originate from India. The report claims that most of North Korean cyber operations are carried out from foreign countries like India, Malaysia, New Zealand, Nepal, Kenya, Mozambique, and Indonesia. While in some cases, the North Korean hackers route their attacks through their computers from abroad, in cases like that in India, hackers are physically stationed to carry out attacks. The report by Recorded Future also indicates that India, despite serving as a base for North Korea's cyberwar, also remains at a potential threat from similar attacks. This data and analysis demonstrate that there are significant physical and virtual North Korean presences in several nations around the world — nations where North Koreans are likely engaging in malicious cyber and criminal activities These nations include India, Malaysia, New Zealand, Nepal, Kenya, Mozambique, and Indonesia. Bitcoin mining — a new way for North Korea to make money. North Korea appears to be funding itself with bitcoin, according to a recent report. Recorded Future, an intelligence research firm backed by Google Venture and In-Q-Tel (a venture capital firm funded by the CIA), reported that North Korea began "mining" bitcoin on May 17 and could be using the digital currency to generate income for the regime. 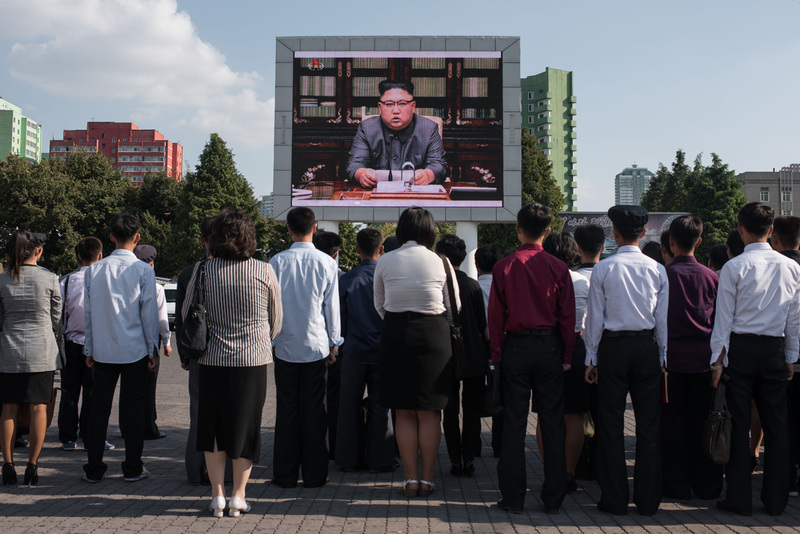 The United Nations Security Council on Monday unanimously approved new sanctions against North Korea, the harshest yet — capping North Korea's oil imports, banning textile exports, ending additional overseas labor contracts. Bitcoin "mining" could become a viable income source for this further-isolated nation that's craving nuclear weapons. "We weren't able to determine the volumes, like how many bitcoin they can generate per certain time period. We could just see activity," said Priscilla Moriuchi, the director of strategic threat development at Recorded Future. Evidence is mounting that sanctions, international pressure, and possibly increased enforcement by China are beginning to take their toll on the North Korean economy and in particular, North Korea intelligence agent’s ability to procure goods for regime leadership. A May 2017 report from the Korea Development Institute concluded that North Korea’s black market had helped the nation endure the impacts of the international sanctions last year. Prepare a graduated series of direct responses targeting North Korea’s cyber organizations. Curb North Korea’s operational freedom in cyberspace. Identify and leverage North Korea’s vulnerabilities to maintain strategic balance. networks maintain operational continuity during and after an attack. In international relations one does not assume that your adversary is nuts and do not underestimate his capacity to inflict serious damage on you. West has made both the mistakes with regard to North Korea. Our reasons for doing so are, at one level, understandable. In economic terms, the country is a basket case. According to the CIA’s world factbook, its per-capita GDP is $1,800 or less, compared with nearly $40,000 for the UK and $53,000 for the US. Its industrial infrastructure is clapped out and nearly beyond repair; the country suffers from chronic food, energy and electricity shortages and many of its people are malnourished. International sanctions are squeezing it almost to asphyxiation. And yet this impoverished basket case has apparently been able to develop nuclear weapons, plus the rocketry needed to deliver them to Los Angeles and its environs. Kim’s priority is to avoid regime change. He knows that if you have nukes, then no one – not even Trump – is going to try any funny business, especially when it’s clear that a seriously aggressive move by the US would mean the death of hundreds of thousands of South Koreans. The North Korean leader’s rationale for developing nuclear weapons that are ready for deployment is identical to Britain’s rationale for renewing Trident: deterrence. While American and South Korean officials often express outrage about North Korea’s cyberactivities, they rarely talk about their own — and whether that helps fuel the cyber arms race. Yet both Seoul and Washington target the North’s Reconnaissance General Bureau, its nuclear program and its missile program. Hundreds, if not thousands, of American cyberwarriors spend each day mapping the North’s few networks, looking for vulnerabilities that could be activated in time of crisis. Both the United States and South Korea have also placed digital “implants” in the Reconnaissance General Bureau, the North Korean equivalent of the Central Intelligence Agency, according to documents that Edward J. Snowden released several years ago. American created cyber and electronic warfare weapons were deployed to disable North Korean missiles, an attack that was, at best, only partially successful. North Korea has understood how digital technology can convert industrial and economic weakness into a strength. The reason why major industrialised countries hold back from responding in kind to one another’s cyber attacks is because their societies are all desperately dependent on complex, fragile and insecure network infrastructures. So all fear the unfathomable consequences of retaliation. And, accordingly, a new doctrine of mutually assured destruction keeps an uneasy peace in cyberspace. North Korea, however, doesn’t have much of a digital infrastructure and so has less to fear. Which is why Kim may be smarter than we like to think. As a rising economic power, India considers itself a challenger to China if not its rival. Yet, it cannot even produce something as small as a figurine of a god. Indian shops are flooded with figurines of Hindu gods and goddesses made in China. 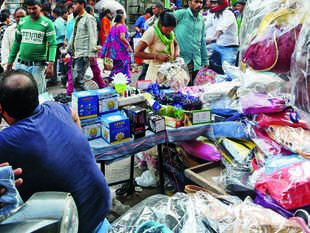 A large number of small merchandise items such as buttons are imported from China because they are cheaper than India-made goods. Some have challenged the strategic extent of India’s success, but the fact remains that New Delhi faced down Chinese coercion and prevented a revision to the status quo—a tactical win. Rightly so, analysts have noted the insights that Doklam can offer for managing Chinese coercion. But can Doklam really form a blueprint for navigating territorial disputes with China? Not only did the standoff occur in a unique context that limits the value of India’s strategy to others in Beijing’s crosshairs, but its root causes remain unsolved and its strategic costs are yet tallied. The biggest lesson of Doklam is that India’s “win,” though important, was the result of distinct factors that make it unlikely to be repeated by other countries countering Chinese expansionism. There are three reasons for this. Firstly, in this Indo-China border stand-off, during the Malabar Exercises 2017, Japan dispatched the helicopter carrier Izumo to join US and Indian aircraft carriers. This was the first occasion on which Japan dispatched such a large helicopter carrier to the Indian Ocean. Because China was concerned about actions taken by Japan, the Chinese media emphasized that India should not depend on Japan’s support. ABUL—On November 9, 2016, Scott Guggenheim, a longtime American adviser to Afghan President Ashraf Ghani, rose early with the sun, got into an armored vehicle and headed across Kabul’s fortified Green Zone to the U.S. Embassy. Afghanistan is 8½ hours ahead of the East Coast of the United States, and the American expatriates, Afghan elites and others who had managed to scare up invitations had gathered in the basement of the embassy—a city block-sized, blast-resistant compound as charmless as it is spotless—to watch the results of the American presidential election. The basement was dominated by State Department employees, who are officially barred from political activism while living abroad but tend to support Democrats; some, anticipating a Hillary Clinton victory, were even calling the occasion a party. On the wall hung a Donald Trump piñata. Acupuncture is a form of traditional medical therapy that originated in China several thousand years ago. It was developed at a time bereft of tools such as genetic testing or even a modern understanding of anatomy, so medical philosophers did the best they could with what was available - herbs, animal products and rudimentary needles. In the process, perhaps, they stumbled on an effective medical approach. It is all too easy to forget that the success or failure of the war in Afghanistan ultimately depends on the real-world combat capability of the Afghan fighting solider. U.S. airpower, Special Forces, fire support, and use of CIA operatives can all help; but "train and assist" means exactly what it says. Just as was the case in Korea—a win—and Vietnam—a loss, it is the native soldier that ultimately counts. It is a bit odd, however, that it should take defections in the U.S. to get the kind of attention that reporting on the entire force by the Office and the Secretary of Defense and the Special Inspector General for Afghanistan Reconstruction has gotten only to a far smaller degree. The scale of the defections of Afghan military training in the U.S. reported in early October is only impressive in terms of the percentage of the exceedingly small force involved. Beijing : Chinese President Xi Jinping claps while addressing the media as he introduces new members of the Politburo Standing Committee at Beijing’s Great Hall of the People Wednesday, Oct. 25, 2017. 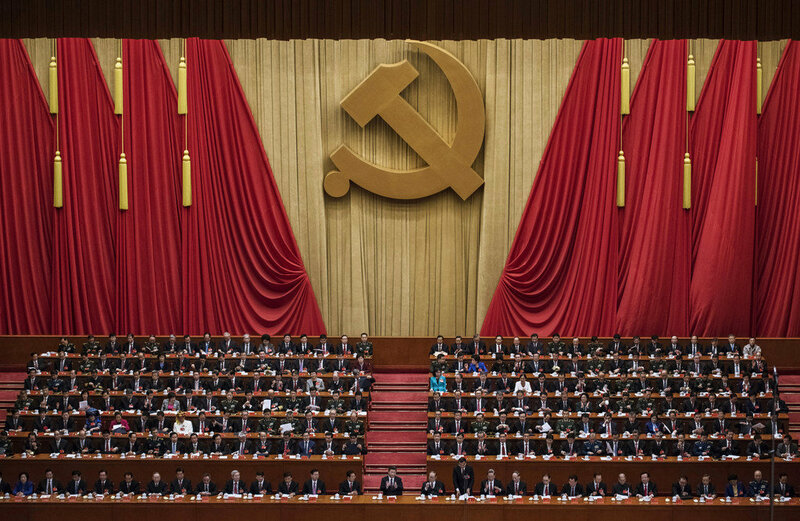 The seven-member Standing Committee, the inner circle of Chinese political power, was paraded in front of assembled media on the first day following the end of the 19th Communist Party Congress. It’s becoming an all too familiar scene. A vehicle becomes a weapon of terror. This time in New York City, where a driver in a rental truck suddenly careened down a bike and pedestrian path on the west side of the city on Tuesday, killing at least eight and injuring more than ten people. New York officials say it was an act of terror, and although the alleged assailant is hospitalized after being shot by a policeman, little has been made public about the person’s identity or motives. But the incident is likely to reignite the debate on what constitutes domestic and international terrorism and whether it matters. On Oct. 24, shortly after the U.S.-aligned Syrian Democratic Forces declared the “total liberation” of Raqqa, capital of the Islamic State’s self-proclaimed caliphate, Syria’s information minister told the Russian news agency Sputnik that the Syrian government does “not consider any city liberated until the Syrian Arab army enters it and lifts the Syrian flag.” His comment underscored the government’s determination to re-assert its sovereign authority over all Syrian territory, as well as the ambiguous political situation in eastern Syria, where the United States has effectively become the security guarantor for an expanding Kurdish political project. Shortly after the terrorist attack in New York on Tuesday, a new account, @cnnbrea, which described itself as “CNN Breaking News,” appeared on Twitter. Its crude, explicit and ungrammatical tweets vowed more isis attacks on the United States. One warned: “O, Nation of Cross in America We will continue to terrorize you and ruin your lives.” It attached a photo of American police overlaid with a headline: “run The Islamic State is Coming.” An imprint of the signature black-and-white isis flag was on top. 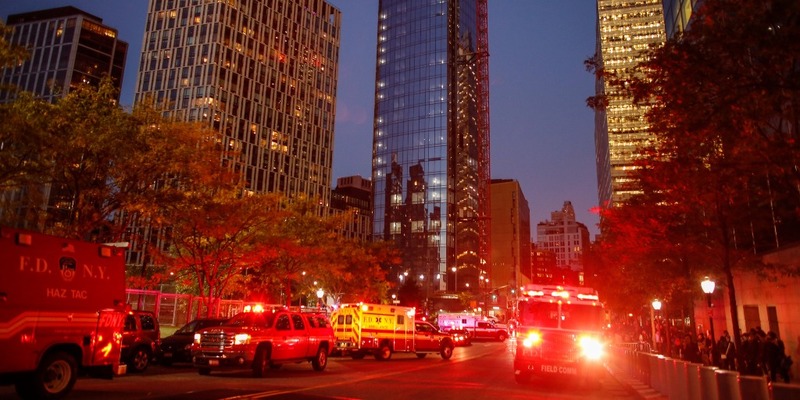 The Middle East Media Research Institute, or memri, identified the account for me as one of many—new and old—that lit up social media to celebrate the attack by Sayfullo Saipovon a bike path blocks away from the site of the September 11, 2001, attacks. The Twitter account was still up almost two days later. By moving carrier strike groups and stealth fighter jets into the region, the United States will enhance its force posture in and around North Korea. The preparations do not necessarily suggest that the United States is getting ready to launch a war — though they will elevate the risk in the region. Tracking U.S. military movements around the Korean Peninsula will offer insight into the standoff between Washington and Pyongyang. No matter what your politics, no matter how President Donald Trump fares, the most unnerving development in the Russia-Trump investigations is how easily a hostile foreign power has interfered with American politics and even U.S. life. The multiple investigations have made one thing clear: The Kremlin sought to influence American society in ways we have not seen since the height of the Cold War. The Russians, we are learning, tried to help Republican Trump defeat Democrat Hillary Clinton last year. They may have hacked into 21 state election systems during last year’s presidential election, according to the Department of Homeland Security. When the term "intelligence" comes up in regular conversation, most of us associate it with a person's capacity to acquire knowledge and new skills.This type of intelligence can be measured with IQ, which helps us determine if the test taker is closer to a Stephen Hawking or a Lloyd Christmas on the smarts scale. And certainly, given no other data, a hiring manager would likely prefer to choose someone on the Hawking end of the spectrum. Facebook and Google now have direct influence over nearly three quarters of all internet traffic, prompting warnings that the end of a free and open web is imminent.In a far-reaching blogpost titled "The Web Began Dying in 2014, Here’s How," programmer André Staltz details how the dynamics of power on the web have “drastically changed” in recent years. Sites and services owned and operated by Facebook and Google—such as WhatsApp, YouTube and Instagram—now account for over 70 percent of all internet traffic, compared to a joint market share of around 50 percent in early 2014. "This past year was unlike anything we've ever seen," David Dufour, vice president of engineering and cybersecurity at Webroot, said in a press release. "Attacks such as NotPetya and WannaCry were hijacking computers worldwide and spreading new infections through tried-and-true methods. This list is further evidence that cybercriminals will continue to exploit the same vulnerabilities in increasingly malicious ways. Although headlines have helped educate users on the devastating effects of ransomware, businesses and consumers need to follow basic cybersecurity standards to protect themselves." The Japanese people don’t much like Prime Minister Shinzo Abe. In fact, a majority of them want someone else as premier. Yet his coalition just retained its two-thirds majority in snap parliamentary elections. He should use his reinforced authority to end his nation’s defense dependence on America. More than seventy years after World War II, that conflict still burdens Japan, limiting its role in the world. But an increasingly aggressive China and threatening North Korea caused Tokyo to adopt a more active foreign and defense policy. Nevertheless, the U.S.-imposed “peace constitution” still constrains Tokyo. Indeed, by its literal terms Article Nine forbids possession of a military.